Bardia National Park Tour is a special itinerary designed by Eyes On Nepal Tours & Trek – a Nepal travel agency. Bardia National Park located at the north west of Nepalgunj. 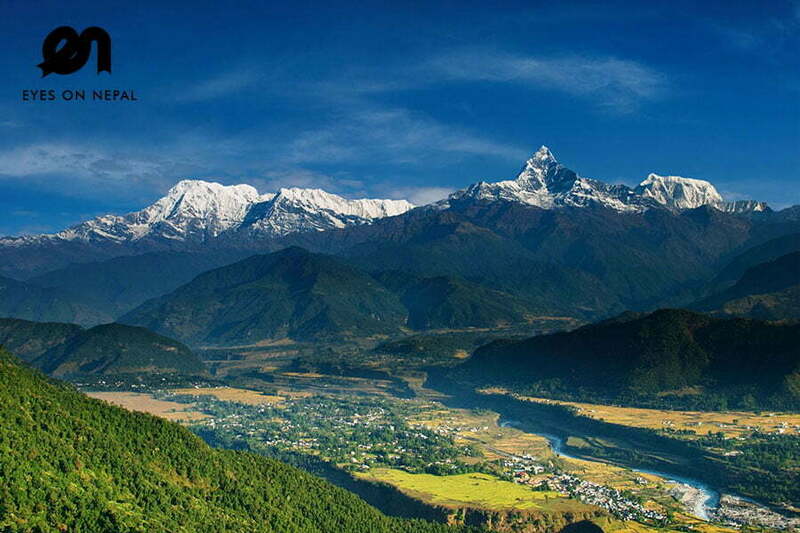 It is the largest of the seven national parks in Nepal. 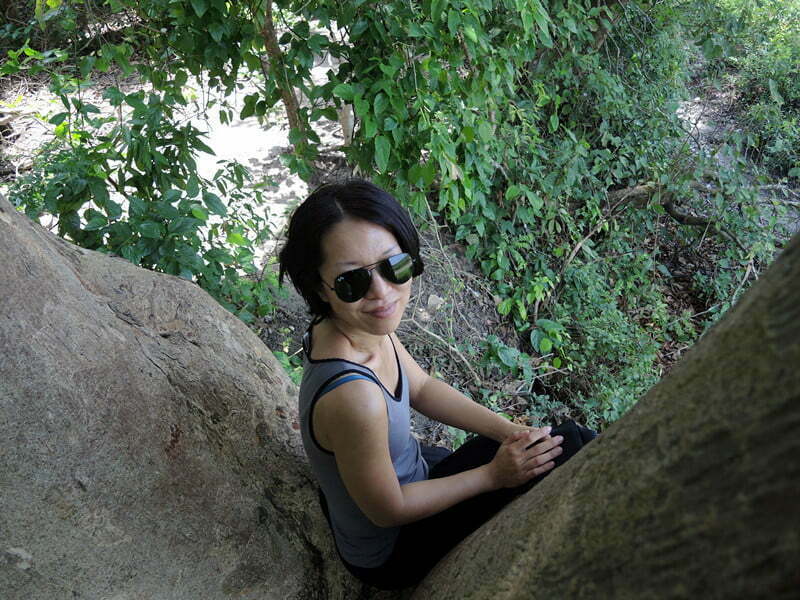 The park was originally formed to protect threatened ecosystems and to conserve both tigers and their prey. 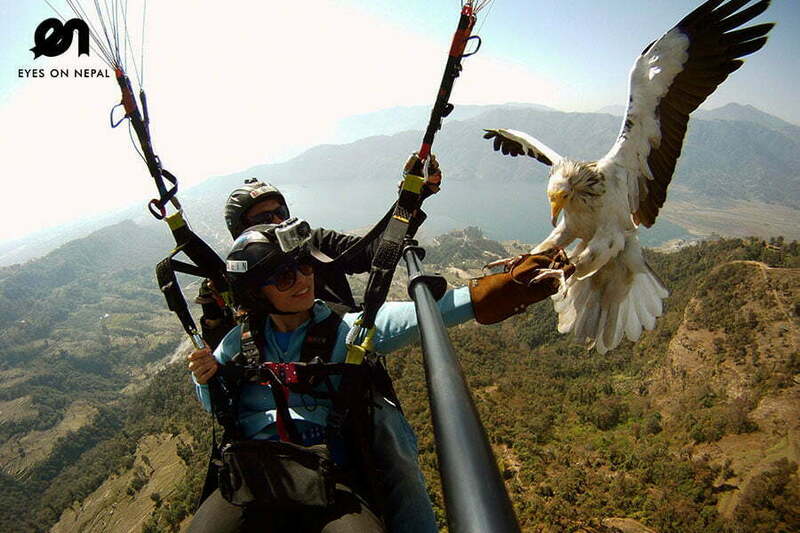 The park has since expanded to become one of the finest in Nepal. It has fewer tourists compare to the popular Chitwan National Park due to the location which is at the west of Nepal. Taking a flight will take 1 hour, taking a bus ride will take up to 15 to 20 hours. 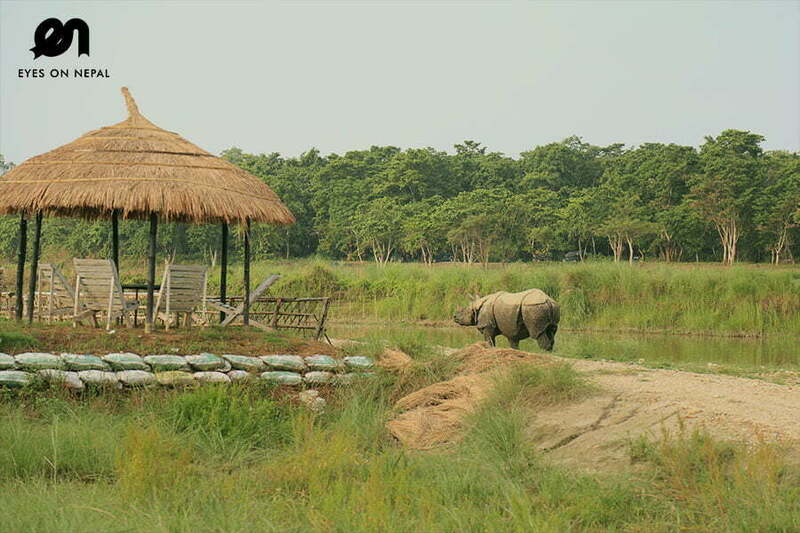 Ecologically, Bardia National Park has a greater range of habitats compare to Chitwan National Park. Lush dense forests are home to an incredibly diverse range of floras and faunas, endangered species such as rhinoceros, wild elephant, tiger, swamp deer, Gharial crocodile, Gangetic dolphin, Bengal Florican and the Sarus Crane etc…… are all found here. 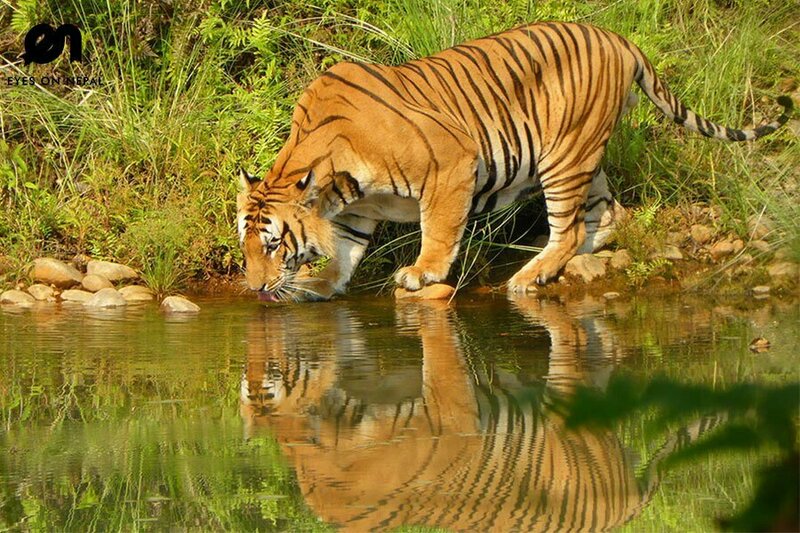 Eyes on Nepal offers this special Bardia National Park 5 days 4 nights Tours, depart from Kathmandu. The programs are well designed, and will leave you a unforgeable lifetime memory. 05.00pm: Pick up from your hotel in Kathmandu, and proceed to Bus Park to catch your bus to Bardia National Park. The journey will take about 15 to 18 hours. Depend on the traffic on the road. 06.00pm: Depart to Bardia National Park. NOTE: Dinner will be provided. A bottle of mineral water will be provided too. The bus is air-conditioned with WIFI. 10.00am: Arrive in Bardia National Park. The hotel’s staffs will welcome and pick you up at the gate of the Bardia National Park. From the entrance to the hotel in Bardia National Park is 13km. 11.00am: Check in hotel. Rest & Relax. 01.00pm: After lunch, rest & relax. 03.30pm: Our tour guide will bring you for Tharu village tour and then to elephant breeding center. 07.00pm: Back in hotel. Dinner in hotel. 06.30am: Jungle Safari to Bardia National Park to spot rhinoceros, wild elephant, tiger, swamp deer, Bengal Florican, Sarus Crane and etc. 01.00pm: Continue the jungle safari. 06.00pm: Back in hotel. Rest & Relax. 07.00pm: Dinner in hotel. Tour ends. 09.00am: Breakfast in the hotel. 10.00am: Check out hotel. Pick up from hotel and visit the Babai river to spot various kind of wild crocodile and dolphins, Gharial crocodile, Gangetic dolphin and etc. 01.00pm: Lunch en route – Packed lunch box. 02.00pm: After lunch, depart to Nepalgunj to catch a bus to Kathmandu. 04.00pm: Depart to Kathmandu. The journey will take about 15 to 18 hours. Depend on the traffic on the road. Dinner will be provided at the stop point en route. 08.00am: Arrive in Kathmandu. You will be pick up from the bus station and will be drop to your hotel of staying. NOTE 1: The price above is quoted based on 2 people. If you are travelling in a group of more than 2 people, kindly write to us at sales@eyesonnepal.com, we will give you a special quotation. NOTE 2: If you are interested to go to Bardia National Park by domestic flight, kindly write us an email and we will advise on the flight charges and the itinerary. The flight from Kathmandu to Nepalgunj is 1 hours, from Nepalgunj to Bardia National Park is 2 hours journey. Two nights in Bardia Wildlife Resort. Two nights in the bus. Tourist Bus tickets to and from Bardia National Park. Pick up from Kathmandu‘s hotel to bus station. Pick up from Bardia National Park entrance gate to Bardia Wildlife Resort. Pick up from Bardia Wildlife Resort to Nepalgunj bus station. Pick up from Kathmandu bus station to your hotel in Kathmandu. All activities as per itinerary: Jungle Safari, Tharu Village Tour, Elephant breeding center, Bardia National Park entrance fees, Babai river crocodile tour and etc… No hidden charges. Tour guide during your stay in Bardia National Park. Elephant ride one hour USD 50 per person. Elephant ride two hour USD 80 per person. Jeep safari half day USD 60 per person. Jeep safari whole day USD per person. 50% deposit will be paid by your side either via Pay Pal or bank in to our Nepal Company account, all payment details will be advised. Chitwan Package Tour from Kathmandu | 3 days 2 nights All Inclusive!